A church micro in the pretty village of Little Wilbraham. This description is taken from this webpage. There has been a church on this site for over a thousand years. The nave has a small narrow window set into the wall which is over a metre thick and the construction here is typical of late saxon (approx 9th century). The main body of the church however dates from the mid 13th century. The remains of a crusader cross can be seen on the north side showing the close links with the military orders during this period. The tower along with supporting abutments were added during the 14th century and new windows were added. The south side of the chancel was reconstructed during the 15th century and a new set of windows inserted in the perpendicular style. This is our very first cache and it is located in a nearby wildlife area known locally as “The Pits” where gravel was previously extracted. We saw many rabbits hopping around when we placed the container. 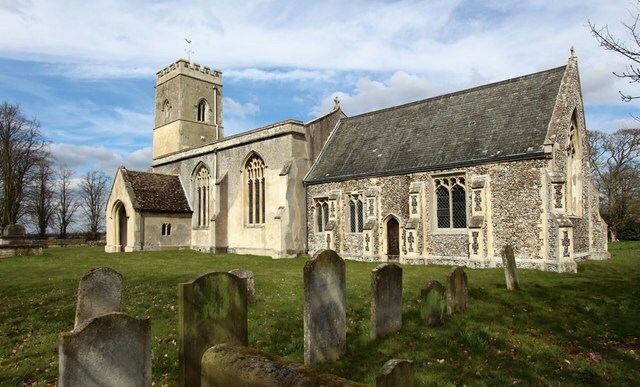 The coordinates for parking is also the suggested trailhead and the public footpath takes you past the church which is often open for you to come in and explore. Thank you to the Little Wilbraham Parish Council for their kind permission for placing this cache. Hooray! and congratulations to firestars for a FTF on our first cache! If anybody would like to expand this series please do, we would just ask that you could let Sadexploration know first at churchmicro@gmail.com so he can keep track of the Church numbers and names to avoid duplication. There is also a Church Micro Stats & Information page found via the Bookmark list.